A Tonk's Tail... err, Tale...: Shelter Sweeties Gino & Lila! "Hi! My name is Lila, and this is my brother, Gino. 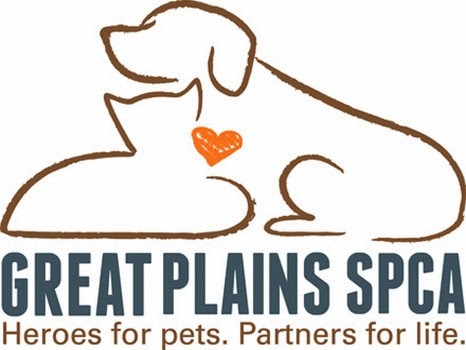 And we're new here at Great Plains SPCA in Merriam." "My brother, Gino, and I were found together and we were brought here. As a petite girl, it's a rough world out there, and I'm just so happy we are safe, together and now we're getting all ready to be adopted by our new forever family. You see, Gino and I are a team. We've been through some tough times together and you can just tell how much we love each other. When you come visit us you are likely either to see us playing or cuddled up together napping. He's a great big brother and I just love snuggling with him. You can ask the staff and volunteers about us, but I'm confident all you're going to hear is really great things about us. We're well behaved, very polite and we're very tidy too! Won't you come visit us soon and see if we can join your family? I sure hope so! Aren't they a stunning pair? Gino & Lila are available for adoption today, along with over 700 other worthy kitties, at Great Plains SPCA! They look so happy playing together. We had a bonded pair of brothers come for boarding and they were always stuck to each other, kissing and loving each other. It was so sweet to watch. What an adorable pair. They're like a ready-made cat family for the lucky person who finds them.